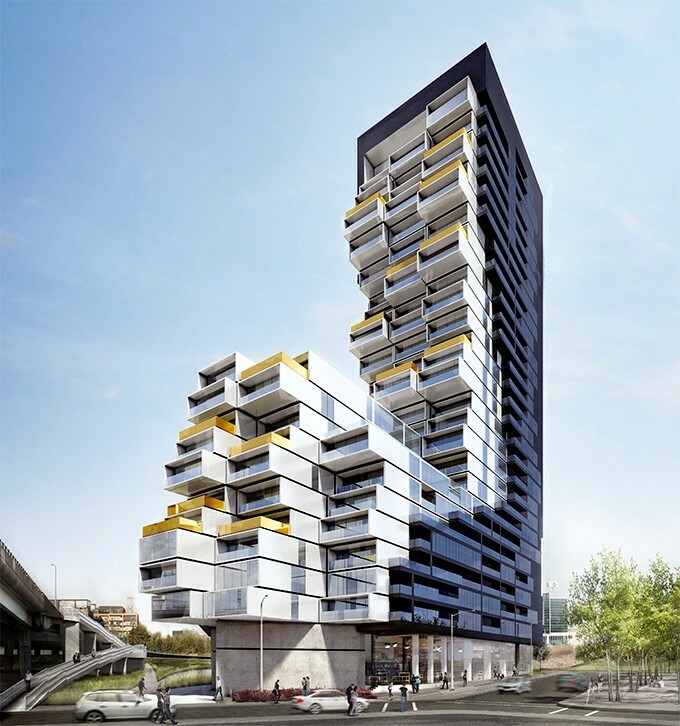 River City 3 Condos is a new condo development by Urban Capital Property Group and Waterfront Toronto located at Eastern Avenue & Saint Lawrence Street in Toronto. Winner of BILD’s Best Design Award, River City is a four-phase, LEED Gold community of over 1100 loft-style condominiums, townhouses and ground floor retail. We can provide you with the absolute BEST pricing, incentives, suite selection, and at the LOWEST possible pricing. This is one of the biggest benefits to investors. First Gulf, a huge commercial developer in the city, has bought the land adjacent to the River City area – where they plan on developing a huge commercial centre to rival Canary Wharf in London. The developer is proposing to build 15 million square feet of office space, enough to house 70,000 workers. The benefit to investors? River City 3 will be one of the CLOSEST residential projects to this mega development. With 70,000 NEW JOBS moving to the area, this creates MASSIVE DEMAND for housing. Imagine owning an investment property closest to this area? While the pricing isn’t finalized, we’re expecting prices to be $100-$150 per square foot LESS than a typical downtown tower in the core of the city – resulting in potential savings of $50,000 to $100,000 or more. We’ve seen rough architectural drawings for the floor plans and they are incredible – perfect for investors. Register below to be first investors in the city to see them as well. One unique aspect of this project, based on sales from Phases 1 and 2, is that there are many more ‘end users’ buying into the project versus investors. A typical downtown condo tower will have the majority of suites purchased by investors. At River City, many of the purchasers are residents who live in the building. The benefit to investors is huge – more end users and less investors means less competition for tenants, and less turnover on the resale market (i.e. – less supply for leases and resales means higher demand for the project). One of the benefits of this unique location is incredible access to all modes of transportation. BY CAR – you’re 30 seconds away from the entrance to the Don Valley Parkway, and you’re a 5 minute drive to the financial district. BY STREETCAR/PUBLIC TRANSIT – You have the benefit of living right at the intersection of King Street and Queen Street – both with a streetcar that heads to the core of the city within minutes. This is a huge benefit to tenants and residents who work in the financial district and can be at work within minutes. You can also take the streetcar east to the Beaches within minutes as well. BY FOOT OR BICYCLE – The city is building new paths that connect to the Martin Goodman Trail, so you can literally cycle your way across the lakefront from River City to Etobicoke. You’re also walking distance to the Distillery District and to Lake Ontario. Most Toronto residents don’t yet know that the city has just finished developing a huge 18 acre park called Corktown Common, where the entrance to the park is literally at the front door of River City 3. Imagine being able to take a ‘walk in the park’ every morning and evening at your very own 18 acre park in front of your condominium! The River City project is the first residential community within the newly revitalized West Don Lands neighbourhood. West Don Lands is also the site of the Pan Am Village – a massive community being developed to house the athletes for the 2015 Pan Am Games in Toronto. This brings plenty of new amenities to the area, including retail along the new Front Street extension, fitness facilities, restaurants, and so much more. This building will definitely be one-of-a-kind and remarkable to say the least. The developers spent years painstakingly designing a project that will stand out in the city, and is sure to win awards for best architecture (Phase 1 also won the ‘architecture of the year’ award). The City of Toronto is about to entire an election for a new Mayor. A few of the candidates are talking about pushing through the ‘Downtown Relief’ Subway line as part of their platforms. Once this line begins construction, one of the first new subway stations on the plan will be called Bayview/River Station – located directly below the River City project! We predict that the announcement of the station alone could drive prices at the River City project up immensely. River City 3 will be the third phase of condos to be built in the popular River City development located in the West Don Lands Neighbourhood. RC3 condos will have stunning views of the Downtown Skyline and the Lake and is just minutes from downtown core.